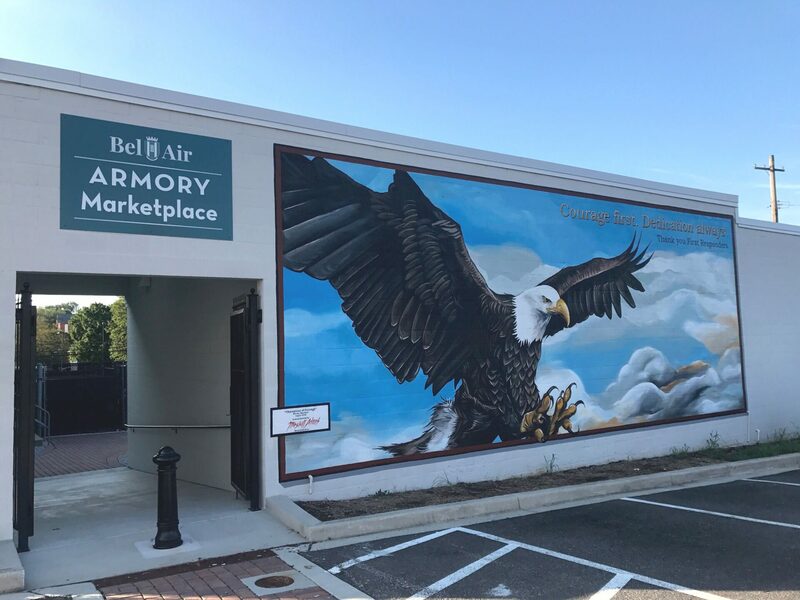 The Town of Bel Air is proud to offer a variety of public murals and sculptures for the community to enjoy. You can take a two mile walking tour of our public art with our Art Walk brochure. Hard copies can be picked up at the Visitor’s Center located in Harford Artists Gallery and in the Armory at 37 North Main Street. CLICK HERE to download the Public Art Walk Brochure.